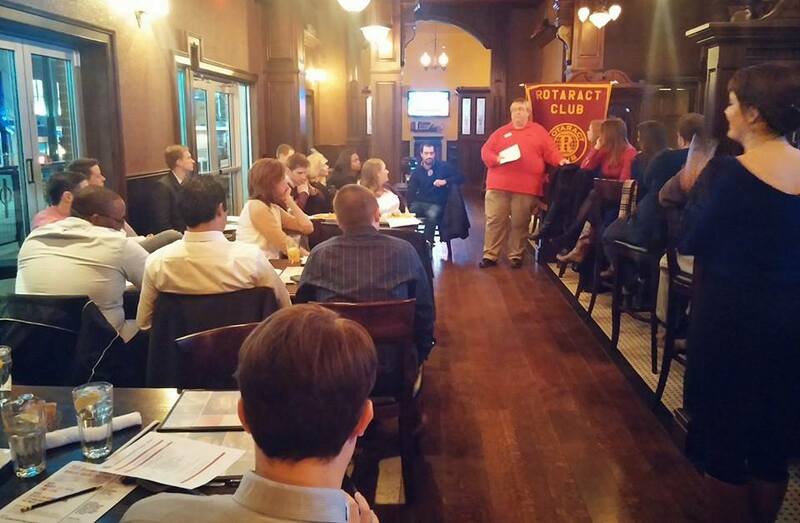 February’s meeting last Wednesday was very successful. Chris Crowder’s program on the American Cancer Society Hope Lodge was touching. He spoke about the patients that live for free there while receiving treatment for their cancer in Kansas City. The support system that they offer each other contributes not only to their length of life but their quality of life. Chris asked if anyone in the room had been diagnosed with cancer – nobody raised their hand. He asked “who knows someone who has been diagnosed with cancer?” – every single person raised their hand. Cancer touches everyone and Hope Lodge works to make their journey less hard. Visit the Shave to Save website to get involved! For the March community service activity, Rotaract KC will be visiting Hope Lodge to host a movie night for their residents this Thursday, March 6 at 6:30pm. We will need to bring a recent movie release and movie snacks. Our time volunteered to serve these patients will not be forgotten! Please RSVP by Wednesday March 5 at noon to info@rotaractkc.com so we can plan the movie night together. Other leadership and committee roles are still available! The president will make appointments of committee chairs in the coming month and everyone can sign up for a committee. If you’re interested in either, please contact info@rotaractkc.com to let the board know.